Are you ready for an island excursion? 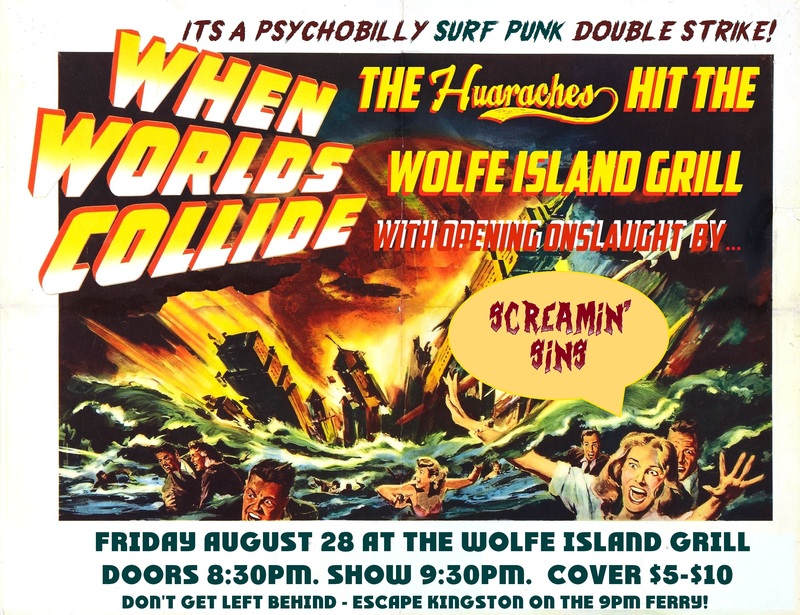 The Huaraches and Screamin’ Sins are bringing instrumental surf-punk and psychobilly to our favourite waterfront patio destination. Doors @ 8:30pm, Screamin’ Sins at 9:30pm, The Huaraches thereafter. 19+, $5-$10 pwyc. Grab the 8pm Ferry to save yourself a seat, or the 9pm Ferry if you want to arrive when the music starts.